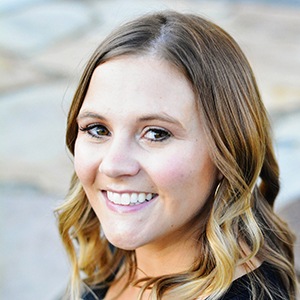 Hey all, It’s Melissa from over at Bless This Mess again. I’ve had this recipe ready for you for weeks and it’s finally time to share! I just love sharing recipes with you. I’ve said it before, and I’ll say it again, I definitely show love by giving people gifts of food. Food is love and recipes fall into the category. So even though I can’t give you a plate of these cookies, just know that I would if I could. This is one of those healthy(ish) treats that you feel pretty good about giving to your family. It’s a great break from zucchini bread too. I hope you try it because it is one of my favorites. I’ve been making them for five or so years now and love to give them away. 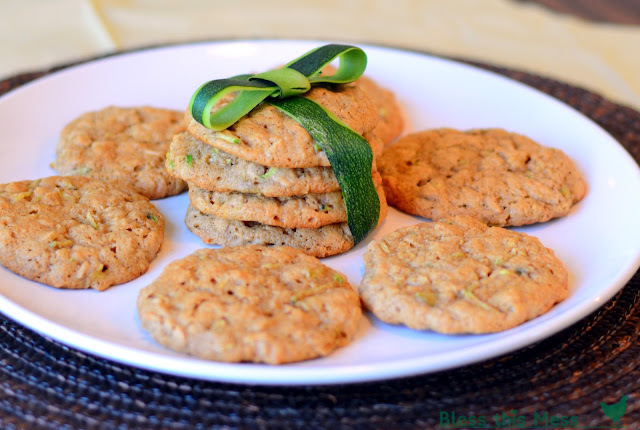 Most people haven’t had a zucchini cookie before, have you? Preheat the oven to 350 degrees. In the bowl of your stand mixer beat the butter and sugar on medium speed until light in color and very fluffy, 3 to 5 minutes. Add the vanilla and eggs and beat for another minute. Add the grated zucchini and mix until incorporated. Sprinkle the flour, cinnamon, baking powder, salt, and soda over the wet ingredients. Mix everything together on low speed until well combined. Add the oat and mix to combine. Scoop dough into balls using a 1 ounce scoop and place on a parchment-lined baking sheet. Bake for 12 to 16 minutes until the center is set and the edges are golden. Let the cookies rest on the cookie sheet for 5 minutes before transferring them to a wire rack. Store covered. This is a great way to use bigger zucchini that might be a little tough; Peel and remove any seeds from larger zucchinis. Smaller squash don’t need anything done to them. The whole wheat flour adds a great nuttiness to this cookie and helps to absorb some of the extra moisture from the zucchini. I strongly recommend using it. You will probably need 1/3 cup more flour if using white flour. Don’t store the cookies stacked on top of each other. They stick terribly. Place a layer of wax or parchment in between the layers. I have subbed unsweetened applesauce for half the butter lots of times with great success; great idea if you are wanting to save a few calories. And if you haven’t made it over to say hey yet, do! Just pinned it! Thanks — I’ve gotta find more ways to use all the zucchini! 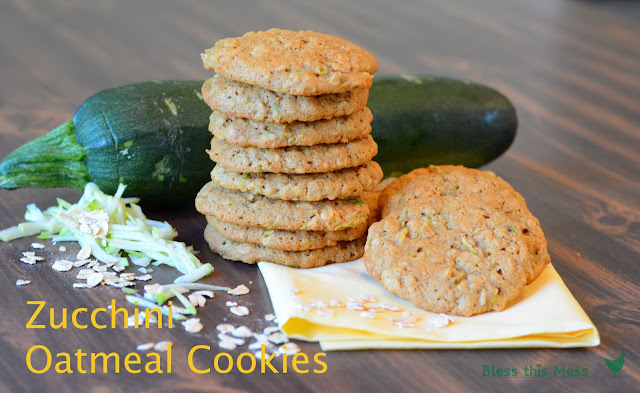 These look amazing and I have never seen a recipe for cookies with zucchini! Can’t wait to try them!! Thanks for sharing!